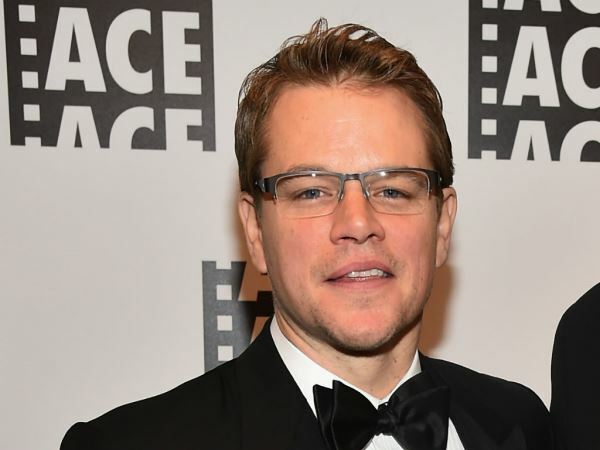 Matt Damon set off shockwaves after debuting his new ponytail. The 44-year-old actor has had a short haircut for most of his career, which spans nearly three decades. But on Thursday he sent fans into a delighted frenzy with his fresh, longer hairstyle at a press conference held in Beijing, China for his new movie The Great Wall. His golden locks were pulled back into a ponytail while speaking at the event. It appears his tresses are so long at the moment, his hairdo might have even reached shoulder length. Many are comparing Matt’s new look to the one his fellow actor Chris Hemsworth sports in Thor. Matt’s ponytail became an internet sensation, with users across several social media platforms expressing their thoughts on his style choice. “Is it just me or does Matt Damon look better with a ponytail? #MattDamon #ManBun,” user @sparkle_16 questioned on Twitter. However, some fans are less enthusiastic about his new look. One tweeter took to the micro-blogging platform to express her dismay. “Matt Damon with a pony tail. Not sure how I feel about it #MattDamon #ChannelingChrisHemsworth,” user @AnnieOntheRadio wrote. Matt, who was once named Sexiest Man Alive by People magazine previously admitted he is not much of a fashion guy. When he needs advice on what to wear, Matt often seeks guidance from his spouse Luciana. In fact one of the biggest fashion lessons he’s ever learned is very simple. “That my wife should dress me,” he told the British edition of Glamour magazine when asked what he had learnt about style over the past ten years. Kom ons word saam wys. I'm a 57 year old man looking to meet women between the ages of 45 and 60.